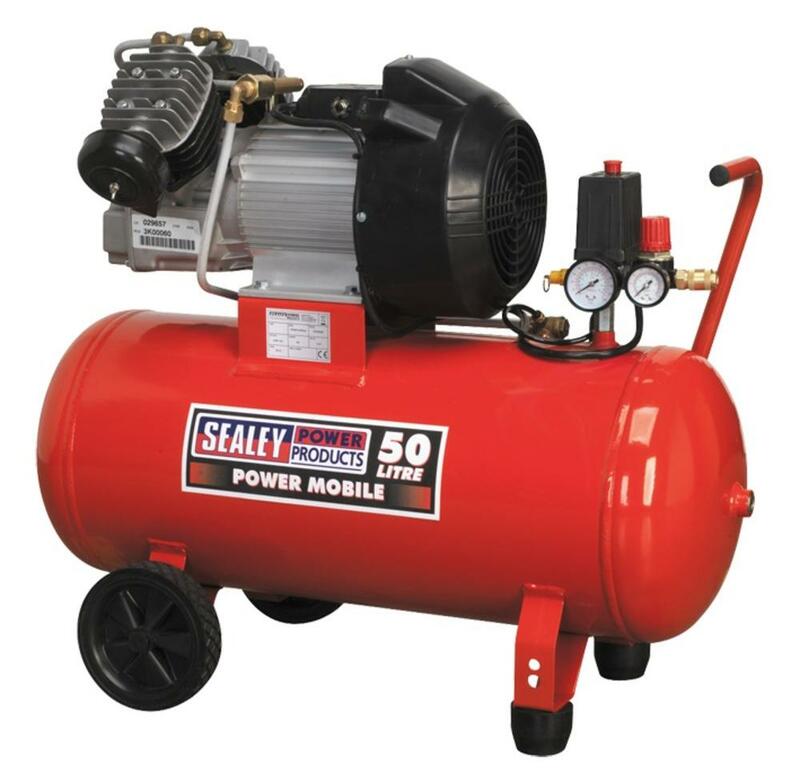 • Pump directly coupled to heavy-duty induction motor for reliable operation. • Fitted with fully automatic pressure cut-out switch, air regulator and pressure gauges for tank and supply. • Supplied with handle and wheels for easy manoeuvrability.